Photos are always satisfying as they are our memories since ages and provide us flash back of all the times we had with our loved ones. However, when you lose them accidently, no wonder you must be finding solutions and ways to get them back at any cost. And here we are today to give you all the best possible solutions to recover WhatsApp deleted images. Do not worry at all. In the below article, you will see best and simple ways to know how to recover deleted photos from iPhone and Android. Why Exactly WhatsApp Photo Recovery is Needed? One of the reasons one requires WhatsApp photo recovery is when someone loses their precious photos accidently. No one does it on purpose, obviously! It may happen that you were deleting some unwanted pics and ended up accidentally deleting all of them. Incorrect or unsuccessful iPhone jailbreaking process can also result in loss of photos entirely. Wrong process will surely make you pay a big amount with your photos. Other considerable reasons are synchronization process, restoration of your device, along with system crash; all these will also result in huge data loss along with your WhatsApp photos. Below are some of the ways you can get back your deleted photos with ease. To restore lost images on your iPhone, you need an expert, that is, Tenorshare UltData. Follow below steps to know how to retrieve deleted WhatsApp photos with the tool. Step 1: Connect your device to PC and simply select recovery mode. Also, the "Recover Data from iOS Device" mode is the default mode, just for your information. He tool will detect your iPhone automatically. Step 2: Now simply select WhatsApp & Attachments option of all the various options provided to scan or recover the WhatsApp data along with lost images. You can also choose "Select All" option too. Select All option initiates a thorough scan of your device. Click on "Start Scan". Step 3: All the scanned WhatsApp files will given and displayed for you. To recover the WhatsApp images, select the option "Only display the deleted items". Once done selecting the images you want to recover, click "Recover". You have 2 options to recover the files either to computer or to your iPhone. Congratulations, you have successfully learnt how to recover deleted photos from iPhone without backup. 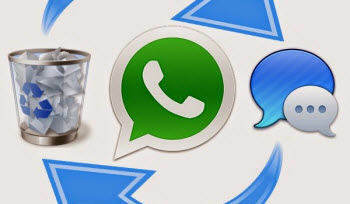 The other method to know how to recover deleted photos from WhatsApp is if you had backup of your WhatsApp images. That's great to keep a backup. With this second option, you can perform a WhatsApp deleted photo recovery with iTunes/iCloud backup using Ultdata. The method will no doubt aid get back your photos in no time. Follow below steps to recover deleted WhatsApp photos with from iTunes/iCloud Backup. Step 1: Select Recover from iCloud backup files/Recover from iTunes backup files as per the backup. The default mode will be "Recover Data from iOS Device". You need to select the iTunes/iCloud Backup mode. Now, simply sign into iCloud/iTunes using the Apple ID as well as password. Step 2: A list with all the iTunes/iCloud backups will given to you. Choose the most recent backup from the list. Step 3: Select the WhatsApp photos you want to get back and simply click Next to start the process of recovery. All the WhatsApp photos will be recovered and displayed after the process is completed. Step 4: Now choose the photos you want recover as well as where you wish to save them iPhone or computer. Now that we are done with the methods to know how to recover WhatsApp photos on iPhone, let us move to the methods to know how to recover deleted photos from WhatsApp Android. If you are not aware, let us tell you the fact that your device keeps up to the last 7 days local backup of all the files including WhatsApp. And this will help you restore WhatsApp photos from backup. Also, if your WhatsApp is set to take backup, you can get back you lost images from the auto-backup too. Step 1: Uninstall and reinstall WhatsApp on your Android device. Now, simply login to your WhatsApp account using your phone number. Since the backup is already present on your device, you will get a pop-up saying Backup found. Click Restore >> Next. Step 2: You can also get the WhatsApp local backup files along with images in the path—internal storage/WhatsApp/Database folder. Else you will find it on path—sdcard/WhatsApp/Database folder. You can now restore the images from here as well. 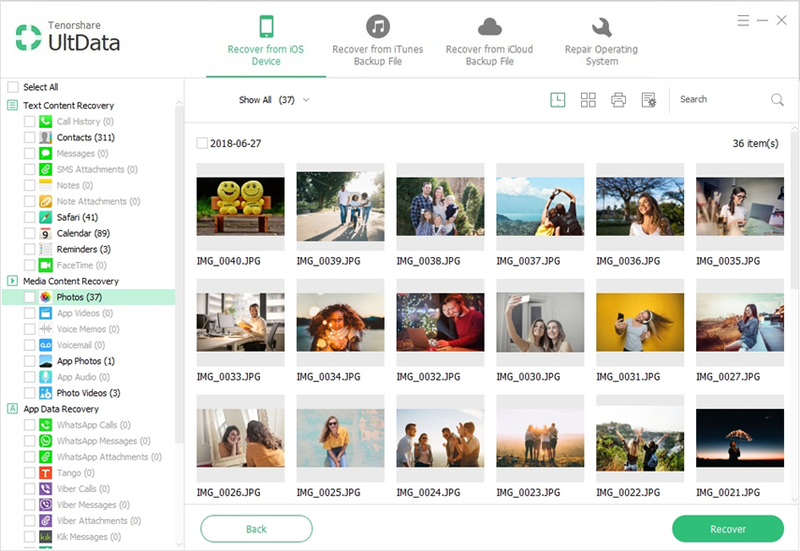 The above article discussed the best and simple ways to solve the deleted photo recovery on iPhone as well as on Android problem. We have given the simplest ever solutions to you. If you have any other solution apart from the ones discussed above, share them with us. We will be glad to hear to your solutions too. Do share your feedback with in below comments.